Our No Worries Lake Time Clock reads: No Worries we're on Lake Time. 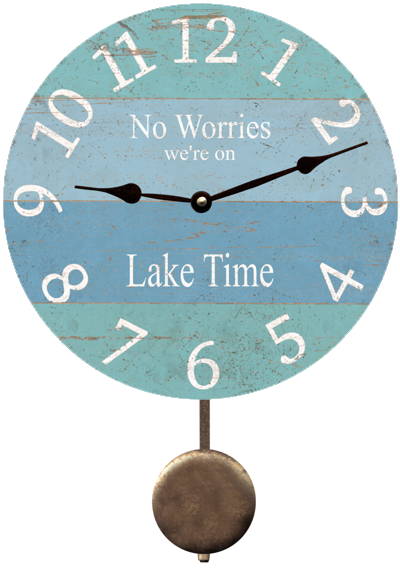 This wall clock serves as a reminder that while your at the lake, all worries disappear! 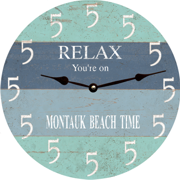 "NO WORRIES LAKE TIME CLOCK" Shown with pendulum option.